In September 2004, I went to the Mentawais in Indonesia with Skylar Peak, Jake Burton and a few friends. We chartered the Adventure Komodo, one of the nicest and fastest boats in the area. Mike Balzer, a well known surf photographer, joined us to take pictures. 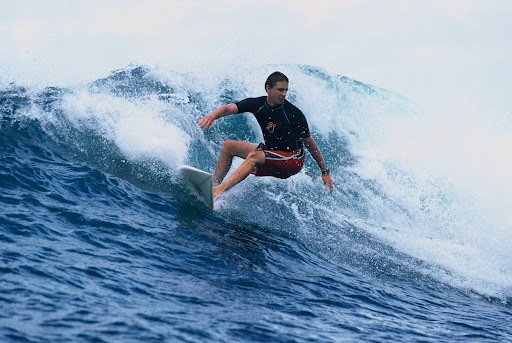 The surf in Indonesia was at a totally different level from anything I’d ridden before. From the first day, I really had to step it up. By the last day, I was finally getting a handle on the place. I was so stoked about the experience, I plan to go back in 2005. While I was there, I rode the biggest, hollowest, fastest waves of my short surfing career, 5-7 hours a day, for 11 days. Here are some of Mike’s shots.